Political differences aside, Prime Minister Voreqe Bainimarama, says Fiji and Fijians are united stronger than ever before. He said this had allowed policies and major developments to be successful. 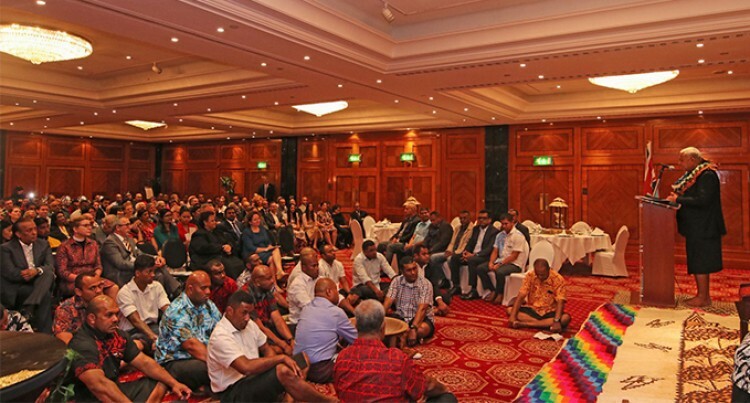 Mr Bainimarama was speaking in London on the margins of the Commonwealth Heads of Government Meeting (CHOGM) to Fijians who live in the United Kingdom. He was attending a dinner hosted by the Fijian Community. He was also accorded a traditional Fijian welcome ceremony. He said Fiji’s standing in the international community could not have been better as he leads the fight against Climate Change as COP23 President. The event was attended by former Fiji residents, members of the British Armed Forces, rugby players, businessmen and women and students. The reception provided an opportunity for Fijians not only to meet the Fijian Head of Government but also to come together as a community, as families and make new friends. Mr Bainimarama took the opportunity to brief the Fijian community on recent developments back home including updating them on the two tropical cyclones which caused floods in towns and cities. He urged them to ensure that they register to vote in the 2018 general elections. The Fijian Head of Government also paid tribute to sons of Fiji who have and are currently serving in the British Army.